Like everything else in life...the question of all questions is ultimately, "How Much is This Going to Cost Me?" Okay...maybe it's not the Question of all Questions...but it's a frequent one no less. 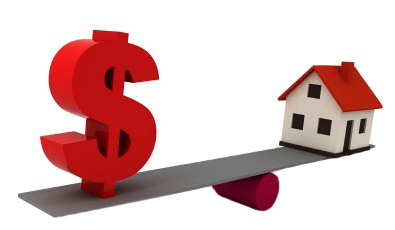 Refinancing is a double edged sword...on the one hand it can be extremely beneficial in both the short term and long term...but it may come with a price tag. Determining if you should proceed or not will come down to YOUR Value System. Do you value current debt management over future debt management or do you value potential benefit over the short term cost? If I told you that I would give you $2.00 for the price of only $1.00, you would probably do it. However, if I told you that for $1.00 I would save you $2.00...this is where you would have a moment of pause to consider your situation. On the one hand, you would consider the other things you could spend your $1.00 on, and on the other you would consider the value of the $2.00 savings...in the end you will make the decision that holds the most value to you...Your Value System. Believe it or not, but the value component from both examples is identical...$1.00. But the decision process is clouded when the benefit is not immediate. Guess what, this is exactly how a refinance works. The benefit may not immediate, while the cost is, and therefore we sit on the fence a little longer to make sure we make the right decision. Good news on the cost though...it is normally something that can be included in the refinance instead of being something out of pocket. If you are still not sure, give us a call and we can do a cost benefit analysis and give you the straight talk to let you know whether or not it is a good idea for you to refinance or not. You can also hammer out some payment options if you have something in mind by checking out our Mortgage Calculator.